Tax returns for South African taxpayers at only R250 per return. Situated in Pretoria. 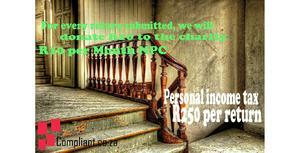 We also offer bookkeeping at R500 monthly.